In 2017, Allure served up a host of compelling and diverse cover subjects throughout the year. In an effort to continue the beauty bible’s success into 2018, we’re treated to a mega close-up of Edie Campbell for the January issue. Edie sports a bold eye makeup look on an otherwise natural face in the vibrant image shot by Daniel Jackson. “It’s certainly conceptual, but maybe too ambitious for the Allure reader, I’m not so sure. The new mainstream magazine consumer is not very educated to appreciate something like this. Still, I applaud their enthusiasm and the fact that Edie Campbell now has an Allure cover behind her name,” noted Benn98. Not everyone was a fan. “I applaud Allure for taking a massive risk with an unconventional cover shot like this, for embracing an actual fashion model for their cover but I’m not a fan of the overall outcome. Everything just looks too try-hard, IMO,” vogue28 commented. A.D.C. wasn’t feeling it either. “I see a million better eye makeup photos on Instagram every day. All they did was stick some rhinestones on her,” he pointed out. “Her whole face would have been nice!” Handbag Queen said. “This is ridiculous,” mocked jal718. 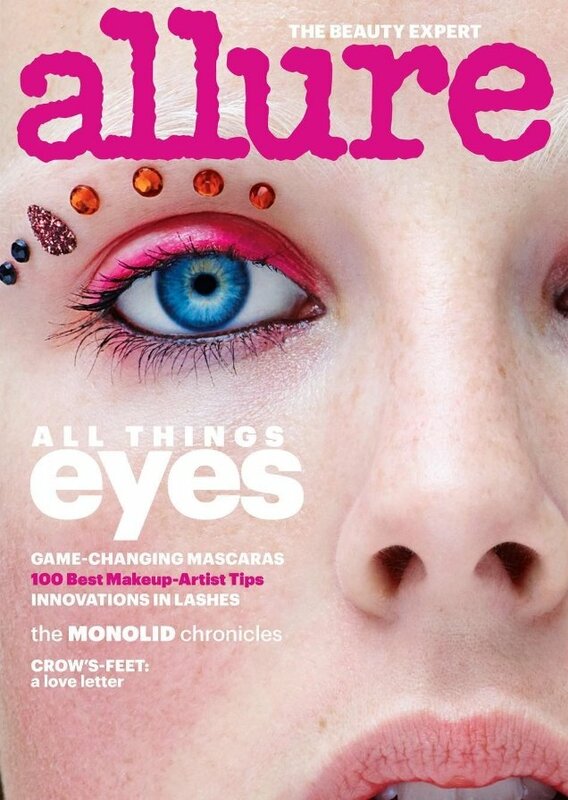 Check out what else Allure‘s latest issue has to offer and add your own two cents here.